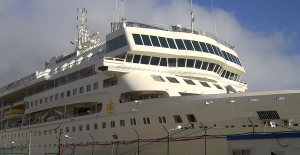 Principal Communications were approached in November 2014 to deliver a fibre optic solution across a fleet of cruise liners in Europe. The installation of the multimode fibre solution, which is utilised on board to link crucial Communications & IT rooms, has not only sped up the internal network for data transfer at the core allowing the duplication of servers, but also allows disaster recovery processes to be put into place should a system fail. 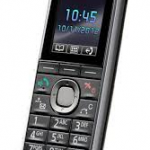 We have noticed a considerable rise in new telephone system installations and the NEC SV8100 is proving to be a fantastic solution for any type of business. With contact centre solutions, call management packages, desktop management suites and presence making it hard to beat! With the introduction of the SL1100 we are now able to offer a medium to large business solution to our smaller customers. So far this year we have increased our customer base for both maintenance and new installations in Nottingham, Derby, Leicester, Sheffield, Birmingham, London and now moving across to East Anglia! We have also noticed an increase in customers wanting the ‘complete package’, as we can offer a total building solution using our Technology Team which includes CCTV, Access Control, Structured Cabling and Fibre Solutions. Imagine that – one point of contact for all your technology needs and management!